DIVING IN TOFO IS WORLD CLASS, AND QUITE RIGHTLY SO. There are not many places in the world where you can see the 'Big Stuff', Humpback Whales, Mantas, Whale Sharks, Hammerheads, Turtles, Rays and Dolphins. 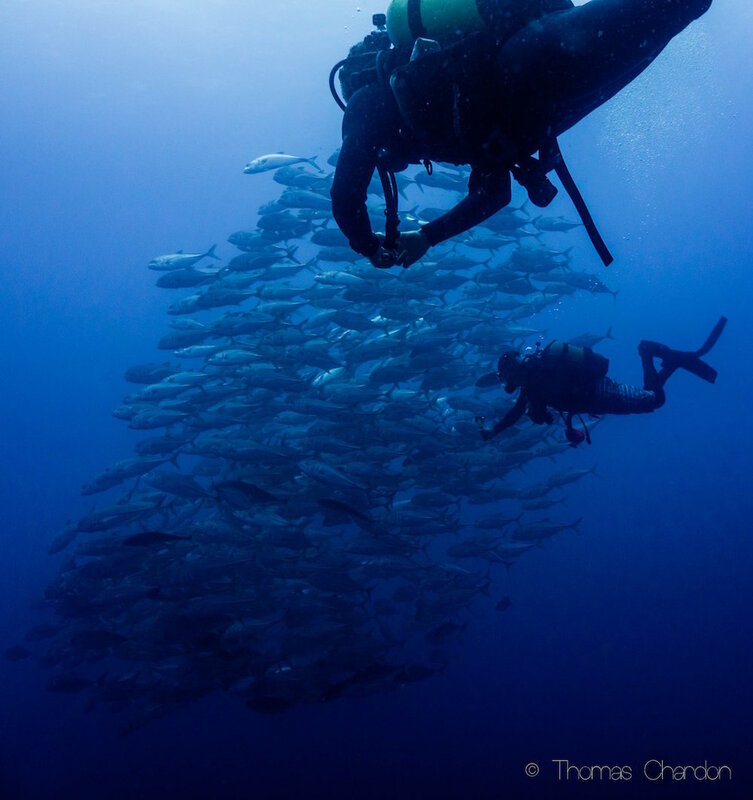 Tofo's biodiversity is one of the biggest attractions and conditions can stretch and challenge our divers. There are times that our deep dive sites can be subject to currents, and our shallow sites can be affected by surge. The conditions change daily and are difficult to predict which makes it exciting! We take each day as it comes, and stay flexible with our dive timetable and dive site choices. Your safety is our priority: our dives and training are personalised and conducted in small groups. Visibility – From 10 metres/33 feet and up, affected by tide and current. Plankton rich currents, which are great for abundant marine life, sometimes come with a visibility price. Weather – Tropical Climate. Dry season runs from April to late December and the summer season goes from late December to March. Summer season is hotter with higher humidity and occasional short intense showers, usually at night. Daytime temperatures vary from 22-32°C/72-90°F. Marine Life – Whale sharks, manta rays and many other type of rays, sea turtles, moray eels, sharks, variety of reef fish and macro fauna. 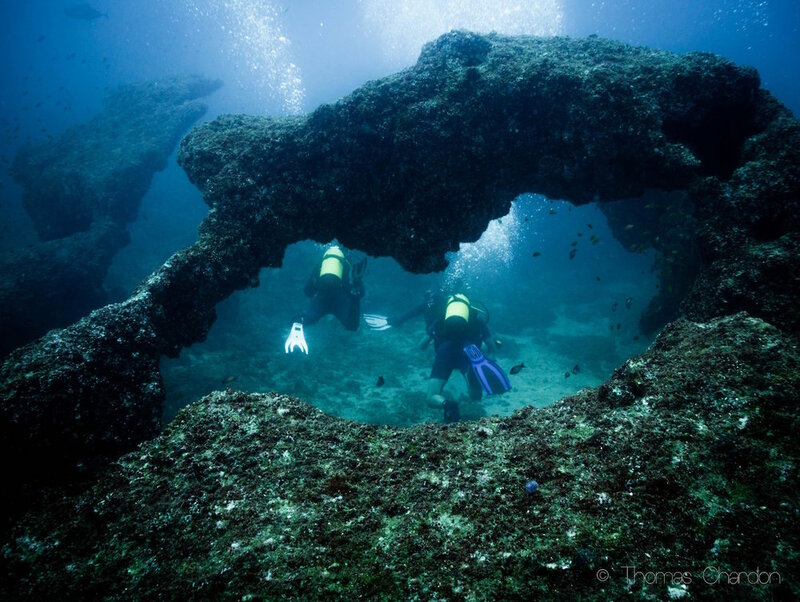 Each of our dives are led by an Instructor or experienced Dive Master. There are always 2 members of staff on board the boat during each dive. There will be a full briefing of your dive, including the boat launch and full safety procedures. Our dives sites are all blue water drops and always take place with a reel and a surface marker for safety. We often spend mornings on a 'double tank' dive where we take advantage of being at some of the further away dives and have two dives one after each other with the surface interval on the boat. We provide water, coconuts and peanuts on board each of these double tank dives, to keep you going out at sea. During surface intervals at sea we often get to meet whale sharks and other marine life and take the time to snorkel and swim. There are discounts for those who'd like to use their own gear. Please note: There are NO additional charges such as far reef or government tax. The price is the same regardless of dive site.